Our history begins as follows: It was a small beginning in January, 1917, as twelve believers, desirous of a deeper experience with the Lord, met together in their homes to pray. The leader of the group was a young layman, Edwin C. Conrad, from the 12th Street Baptist Church of Allentown. Prayers for the salvation of friends and relatives were answered, and attendance increased to the point that a building was needed to house the growing congregation. With a congregation of 35, 3 building lots and a $1,000.00 bank account, they contacted a builder, organized officially as the Pentecostal Prayer Band—Assembly of God, and started on their way. Ground-breaking was held on June, 1922, with dedication services on January 21, 1923. Rev. Joseph Tunmore, Superintendent of the Eastern District Council of the Assemblies of God was the dedication speaker. The Prayer Band, founded upon the Pentecostal experience as described in Acts 2:4, became the first church in the area to preach that the infilling of the Holy Spirit still occurred in accordance with the passage of Scripture. 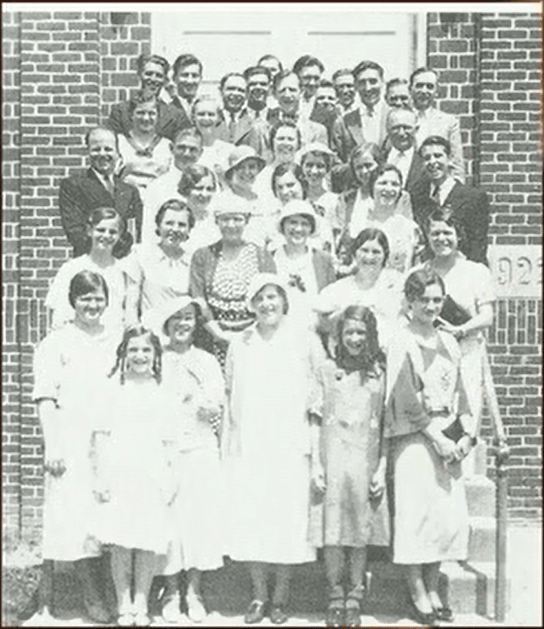 As a result of this preaching, new families were added to the flock continually, in spite of stern ecclesiastical opposition in some portions of the community. A Sunday school outreach, which began at 1:00 PM was established, with an afternoon service immediately following, and an evening service at 7:30 PM. In addition, a Prayer Meeting and a Christ Ambassadors meeting were conducted every week. At that time there was no way to baptize new believers at the church, so in the summer all those candidates for baptism were taken to the Jordan Park and baptized in the river. The church also cooperated with the Eastern District Council of the Assemblies of God by dispensing with the evening service during camp-meeting time at Maranatha Park, Green Lane, so all could attend the Sunday afternoon and evening services there. 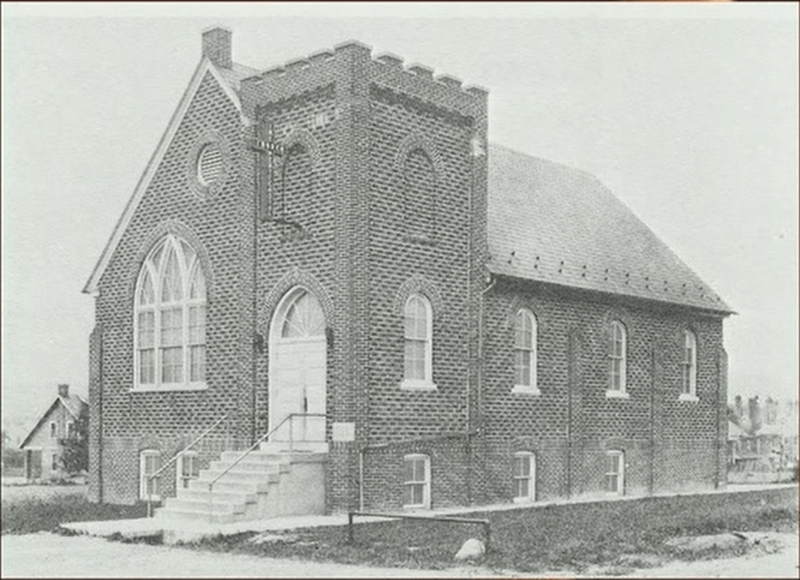 During this period in its history, the church was known as “the First Pentecostal Church” of Allentown. One of the early members of the congregation felt called to the mission field, and thus was born the Missionary outreach which still continues in the church today. In 1953, the congregation suffered painful internal church difficulties. As a result, Rev. David Berquist was elected as Pastor of the Bradford St. congregation. He, his wife, Starling, and their young family were soon absorbed in the ministries and activities of their new pastorate. One of the first things Rev. Berquist initiated was a weekly radio broadcast which originated first from the station studio, and then, from the auditorium of the church. This was a real venture for us, an exciting time during which we shared in song and the Word “live” to the Lehigh Valley. An organ was purchased, the first one the church ever had, and Sister Berquist capably ministered as the organist, adding much to the worship services. During this time a choir was also organized, and we began extension ministries at Gracedale Home for the Aged and also at the Lehigh County Prison. Once again the congregation began to outgrow its facilities. The mortgage on the old building had been paid, so, using it as collateral, the congregation purchased property on the east side of Allentown at Irving and East Green Streets. Plans were drawn which called for a sanctuary with a seating capacity of approximately 300. Also included in the plans were a baptistery, which was to be located underneath the main platform, and air conditioning, which made the building one of the first fully air-conditioned churches in the Lehigh Valley. Beginning with a ground-breaking service on July 10, 1955 Pastor Berquist and the men of the congregation proceeded to do as much of the construction as possible, until, finally, the cornerstone was placed in 1956. With Rev. J.O. Savele as the main speaker, a dedication service was conducted on July 29, 1956. With added space, the church began to grow in all areas. The young people took a more active part in the church and participated in Youth Rallies and other youth oriented activities. The name of the church during this time had once again been changed, and it was now known as the First Assembly of God of Allentown. In the spring of 1960, Rev. Berquist resigned as Pastor and he and his family moved to another pastorate. Indeed, this man of God had been a desperately needed stabilizing force during this critical period of the church’s development. Rev. Albert D. Skymer and his wife, Rev. Marie Skymer, arrived in the summer of 1960 to assume the Pastorate of the church. We were doubly blessed, as both of them ministered through the preached Word and through music. During the three years that the Skymers pastured at First Assembly, the began a program for the younger members of the church, the children, which included Missionettes for the girls and Royal Rangers for the boys. These two programs have continued through the years, sometimes changing the names but maintaining basically the same type of program. This program is known today as the Kids Club. Also at the time, a Men’s Fellowship was implemented which has remained active throughout the years. In addition, the church purchased a house on Chew Street which served as the very first parsonage. In early Fall of 1963, the Skymers moved on to another Pastorate. First Assembly, or “The Church of the Lighted Cross,” as it was also known, once again prayed for a shepherd for the flock. Rev. Chester Jenkins, who was at this time serving as youth leader for the Eastern District of the Assemblies of God, felt that he was at a turning point in his life it was time to make a change in his ministry. He came as one of the Pastoral candidates and was unanimously accepted by the congregation. On October 16, 1963, he and his mother, Rev. Helen Jenkins, arrived in Allentown, and thus began an era of outreach and growth such as few church fellowships have ever experienced. After a period of six months had lapsed, the Thirty-two year old visionary Pastor (whose motto was, and still is, “I’ll fill the pulpit; you fill the nursery!”) expressed the need for additional classrooms for the Sunday school. The Deacons agreed, and shortly thereafter, work was begun on a two-story Educational Building on the newly purchased property directly behind the sanctuary. The cornerstone was laid in 1964, and the dedication service was conducted on May 30, 1965 with Evangelist Jimmy DiRaddo as gust speaker. The new building, complete with a gym, kitchen, offices and classrooms was utilized in many ways, adding considerably to the facilities and ministries of the church. During this period of time, the church body unanimously agreed to withdraw from the Assemblies of God in order to become a self-governing, non-denominational, independent body of believers. In order to designate this new status, a new name was adopted—CALVARY TEMPLE. 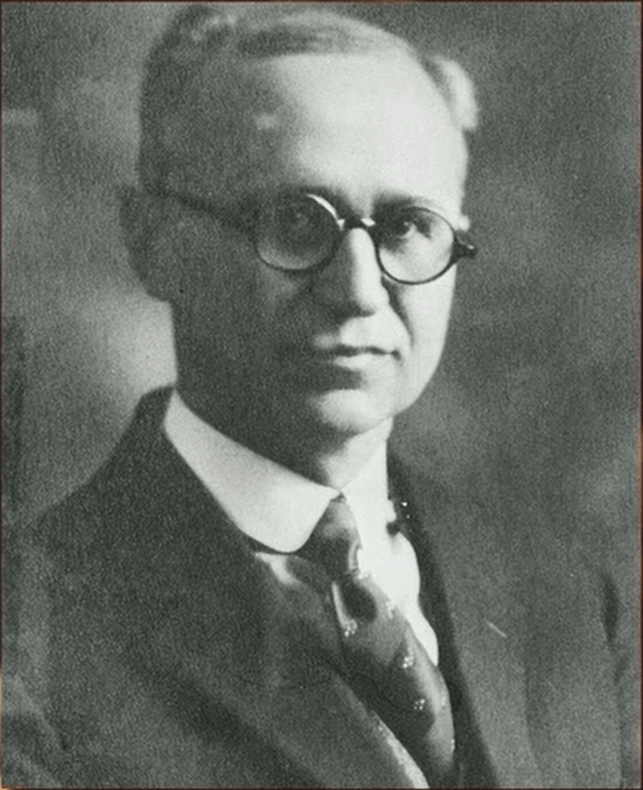 With a zeal, vigor, and faith that had characterized his unparalleled leadership for nine years as the Eastern District Christ Ambassadors President for the Assemblies of God, Pastor Jenkins proceeded to demonstrate that he had not come to Allentown “to hold the fort ‘til Jesus comes.” Quite the contrary! Realizing the vast potential of the congregation, and building on the solid foundation of the labors of previous pastors, this man of God began to labor as if there were no tomorrow. And from what source had he derived this regimen? He had inherited it from a godly “Mother of Israel” who was busy during this time organizing and coordinating a Golden Age Fellowship, teaching a Sunday school class, supervising the Women’s Missionary Council, and doing a host of other things that only eternity will reveal. What a blessed inspiration she has been and we love her dearly. Many sites were considered, but a ten acre parcel of “paradise” in Wescosville, which was the former 12th Street Baptist Camp and later the Seventh Day Adventist Camp, was deemed the most suitable and convenient for our purposes. After much prayer for guidance, the church purchased the property for $110,000. There was no tabernacle on the property, but an unused one at Mizpah Grove in Allentown was purchased, dismantled, and erected on the newly acquired campground which was appropriately named Calvary Jubilee Park. It was also decided that to function as a recreational park, a swimming pool would be needed, and this, too, was installed at a nominal cost. Much work was needed to prepare the camp for its opening in 1971, and the entire congregation enthusiastically “rolled up their sleeves” and worked together in a glorious “labor of love.” At last, on May 31, 1971, with Rev. Dwayne Friend as guest speaker, we celebrated “Dedication Day.” Who will ever forget our makeshift platform which consisted of a flatbed tractor trailer over which was erected a precarious canopy of plastic? (This was our answer to the Crystal Cathedral.) Truly, this was a memorable day! We have continued with our camping program every year since that time, featuring some of the most well-known preachers, teachers, and Gospel singers in Christendom. Each summer, we thrill to observe the scores of new additions to the Kingdom of God, while we brave mosquitoes, humidity, heat, cold, rain, and the devil and have the time of our lives. This was not the only exciting happening in the summer of 1970, for it was then that we welcomed our first Youth Pastor, Rev. Philip Rains and his wife, Dreama, as part of the staff. After laboring for the summer months, they returned for their senior year at Lee College in Cleveland, Tennessee. Because of the outstanding contribution of the Rains’, and because of the ever-increasing demands that naturally came with growth, we felt it was necessary for Pastor Jenkins to continue to have assistance in meeting the needs of our growing congregation. Rev. Ray Hurst was then invited to join us as Assistant Pastor. During his five-month tenure with us, we received our first opportunity for a television ministry in December, 1970, through the courtesy of Twin County Telerama and Martin’s Volkswagon. Rev. Hurst was experienced in this field, and he guided us through the intricacies of these first efforts with calm assurance. When Rev. Hurst resigned and moved on to other ministries, we welcomed another young couple, Rev. and Mrs. Ronald Boyd, also from Lee College, In June, 1971. Rev. Boyd and his wife, Betty, spent tow and one half years with us, devoting themselves to the ministry of our youth as well as every other aspect of the church program. Mrs. Boyd was instrumental in organizing an excellent youth choir in the church, in spite of the fact that her husband (not known for his vocal abilities) was one of the only male members at the first rehearsal. She also conducted the first “Singing Christmas Tree” presentation at Symphony Hall. On April 15, 1973, the Boyds welcomed their first child, Ashley Clay, into the world, thereby making church history. Up until that time, no Pastor’s family had experienced any additions during their ministry here: the Boyds ended the drought. However, the time came when they felt the Lord was leading them to other field, and they moved to Ft. Wayne, Indiana, to assume the pastorate of the Ft. Wayne Southside Church of God. By this time the outreach of the church had branched out considerably. We had a weekly radio and television program, a broader scope in our Extension Department ministries, a full-fledged camping program, and a ministry to the deaf. When our new Assistant Pastor, Rev. Ronald Boyer and his wife, Vicky, also Lee College graduates, arrived in January, 1974, they new they had stepped into a very active church. Rev. Boyer assumed direction of the church choir and took an active part in the musical ministry of Calvary Temple, as well as many other ministries of the church. We will always remember the spectacular presentation of the “Singing Crosses” under the direction of Pastor Boyer at Symphony Hall. For the summer months of this same year. Steve and Melinda Holder, also of Lee College, served as our Youth Pastors, leaving us at the end of the summer to continue their educations. 1974 was a busy year. After much deliberation, it was decided we would organize and operate a Christian School which would offer a curriculum equal in substance to that of the public schools, but with a Scriptural basis. Rev. Dale Hoffman was the founder and first principal of Allentown Christian School, and he served faithfully in this office for eight years. During his tenure, the school enrollment, which began with 23 students, ultimately reached an all-time high of 152. The school uses the A.C.E. curriculum for all its grades and offers many additional courses. Our staff was increased in 1974 with the arrival of Rev. Michael Hanks, another graduate of Lee College, and his wife, Becky. Pastor Hanks, who had served as a missionary to Afghanistan, capably fulfilled the office of Youth Pastor as well as teacher in the school. The educational Building and the basement of the church building were used for the offices and classrooms. As church attendance and school enrollment steadily increased, our facilities simply became inadequate to accommodate us. Services for special occasions such as Easter, Christmas and crusades had to be moved to larger auditoriums to handle the crowds, and for this purpose Symphony Hall was rented. Finally, the church auditoriums and balcony became too crowded for comfort; consequently, Sunday services were moved to Dieruff High School auditorium where we continued to worship from 1975-1977. Since the congregation had already voted overwhelmingly in September of 1972 to search for a site on which to construct a larger house of worship, the decision now was not if to build, but where? A committee was appointed to search for an ideal site. To say the least, our search was not an overnight success; in fact, one site after another was considered and discarded. Finally, after much frustration, a location in South Whitehall Township was discovered. Through miraculous circumstances, over 12 acres of land, known as the Montagner property, was purchased as the site for the new Worship Center. It was on a major traffic route, Rt. 22, in an easily accessible area, and through God’s intervention, we had been able to purchase an additional 8 acres for a price of $50,000. After this purchase had been made, the previous owner, Mrs. Pearl Wasserman, was moved upon by the Spirit of God, and consequently, she proceeded to contribute $10,000 to the work of God at Calvary Temple! Through the grace of God, we now possessed approximately 22 acres of prime land which had been purchased for the relatively modest sum of $200,000. Praise God, our search had ended! An architectural firm, Williams and Schultz, was engaged to draw up the plans for our building. We planned for the future, providing 123,000 square feet of space with at least five times the seating capacity we formerly had. We needed many classrooms, both for Allentown Christian School and the Sunday school. We wanted a gymnasium, a kitchen, a fellowship hall, chapel, baptismal area, choir rooms, offices for the expanding staff, a full basement and a large foyer as well as space for a Christian bookstore. Huge parking lots were needed: roads had to be installed, trees planted. All in all the estimated cost of the building was over $2,800,000. This was a staggering amount of finances to our Pastor and congregation. The Pastor, Deacons, and Trustees sought the Lord as to whether or not the plans should be curtailed. But God assured them, through the Holy Spirit, that He was with them and that they were to move forward, for He would make them “a city on a hill,” a repetition of a prophecy which had been given several years before. With this assurance, approval was given to the architect’s plans. Groundbreaking services were scheduled for July 6, 1975, and the entire church turned out for this joyous event. Things began to move, but slowly. Clearing of the property and grading took a considerable time. On September 5, 1976, a very special service was held on the new church site. We all stood along the outlined area of the new building and joined our hands to form a “Wall of Living Faith.” God moved among us in an unforgettable manner that day, and several people even witnessed the cloud of God’s presence hovering over the hundreds of believers gathered there. On Palm Sunday, April 3, 1977, the cornerstone was laid, a gift to Calvary Temple from a sister church in Cairo, Egypt. An Easter sunrise service was held under the steel beam construction and at the conclusion a white dove, symbolic of the presences of the Holy Spirit was released. Finally, after the contractors were through, the people of the church moved in to complete the work and clean the interior of the building for that long-awaited day, the day of Dedication!